SoundCloud cuts staff and closes London office | What Hi-Fi? The move comes just a few months after the streaming service was saved from bankruptcy by a $70m loan. SoundCloud continues to struggle. Just a few months after being saved from bankruptcy by a $70m loan, the streaming service has made 40 per cent of its staff redundant and closed its offices in London and San Francisco. The Germany-based company is cutting 173 out of 420 of its staff. The remainder will be consolidated in its offices in New York and Berlin. However, the firm insists it's doing well. 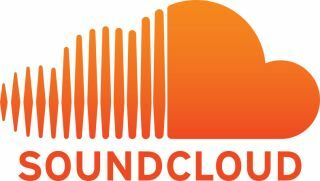 In a blog post announcing the move, co-founder Alex Ljung said SoundCloud had more than doubled its revenues in the last 12 months. The job losses are in order to stay independent, he said. "We need to ensure our path to long-term, independent success," Ljung wrote. "This requires cost-cutting, continued growth of our existing advertising and subscription revenue streams, and a relentless focus on our unique competitive advantage - artists and creators." "We are extremely grateful for the contributions of each and every staff member who will be leaving SoundCloud. Without them, we would not be where we are today," he added.